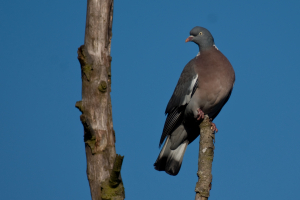 Observation - Woodpigeon - UK and Ireland. Description: Probably wouldn't rank as a favourite bird for many - maybe because they're so common. Personally I think they're quite smart birds although their take-off and landing style does need a bit of work. Probably wouldn't rank as a favourite bird for many - maybe because they're so common. Personally I think they're quite smart birds although their take-off and landing style does need a bit of work.